A heated debate at the Northern Lights School District meeting on June 19 led to a change in the three-year plan. 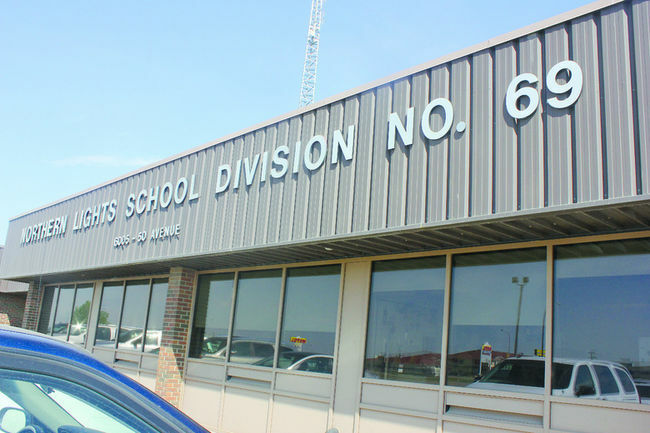 Board members were divided on the issue, but the change has resulted in putting a new Cold Lake Elementary School at the top of the priorities. Parents of kids who attend the current Cold Lake Elementary School came to the meeting to express their concerns regarding the school, and the need for a new one. Reading from a letter drafted by a group of parents, a representative said that the school is maxed to capacity and it is only going to get more students as the city grows. There are 308 students who use the school, and 80 preschoolers who use the day care associated with the school. This has pushed the electricity levels to the max that the 50-year-old school can handle, and there is still the safety issue regarding the bathrooms. The buildings are not equipped with enough washrooms, forcing kids to traverse across a dangerous parking lot to get to the other building and use the washroom. The parents already an idea in mind of where to put the school, in the back far west corner of the field the current school is in, but they face several obstacles such as the school needing a partnership before it’s built. However that was a relatively moot point as the meeting went on and the item on the agenda to change the three-year education plan came up. In a recent meeting with the MLA, several trustees were told that if building a new school wasn’t at the top of the priorities, it wasn’t going to happen. At the time of its passing, Lac La Biche’s new elementary school was higher up on the list of the three year plan, and thus it was called into question whether or not to place a new school in Cold Lake as the top priority. This led to much debate, as trustees agreed that Cold Lake is in more dire need but some were concerned about changing a plan that has already been submitted. Danny Smaiel, a trustee of Ward 3, said that it was nonsense that a school could only be built if it was the top on the priorities list. Another advocate for not changing it was Roxanne Suhan, a trustee of Ward 5. On the opposing end there were trustees like Tom Varughese and Rod Soholt who were in favour of changing the three-year plan. “Changing your mind means you only have the logic to fix a mistake,” Soholt said in defense of changing the three-year plan. Walter Hrycauk, a trustee of Ward 2, reminded the other trustees that no matter what they did another school wouldn’t be built for at least two three years. The line was drawn down the middle of the room, and after over an hour of discussion it was finally called to a vote. In the end, it was voted five to four in favour of changing the three-year plan to make Cold Lake Elementary a top priority on the three-year plan. This entry was posted in Cold Lake Sun and tagged "NLSD trustees debate school priorities" cold lake sun" "jeff medhurst" by jmedhurst44. Bookmark the permalink.